Don't let that crackle scare ya. I usually spend the holidays in the Northwest, where I grew up and where I first started hitting the crates heavily. 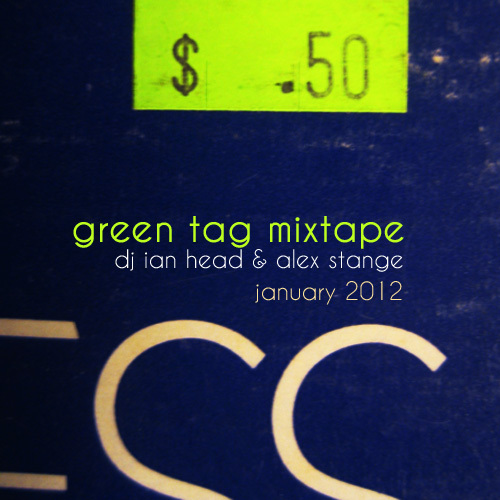 Back in the mid-to-late 90s, me and Alex Stange, fellow beat-digging fanatic and high school friend, would make regular trips to a growing chain of Portland record stores, Everyday Music, which at the time had great prices and thousands of records - especially those filed with "green tags" and costing $.50. All kinds of musical treasures would turn up in the 50-cent bins - funk, jazz, obscure 12 inches, rock, you just never knew. They were regularly re-filled, and the store stayed open until midnight every night - so you could just drop by almost any time to get a little digging in. So I invited Alex to contribute half of this mix, which I'm sending out from southeast Portland before heading back to New York. The 50-cent bins are still here, though not quite as fruitful as they used to be, but still fun to paw through on my trips home. It's essential digging - getting your self-education on the classics of soul, rock and pop music for cheap, and realizing that you should never pay more than a dollar for certain records if you're in these crates long enough.